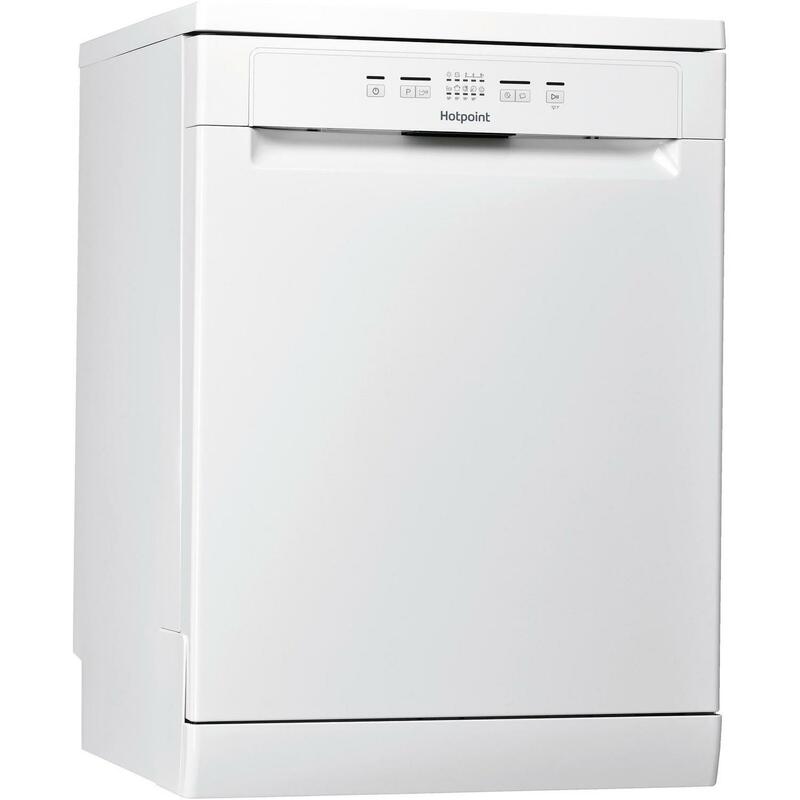 Take the stress out of cleaning up after your family meals with this stylish Hotpoint HEFC2B19CUK dishwasher. 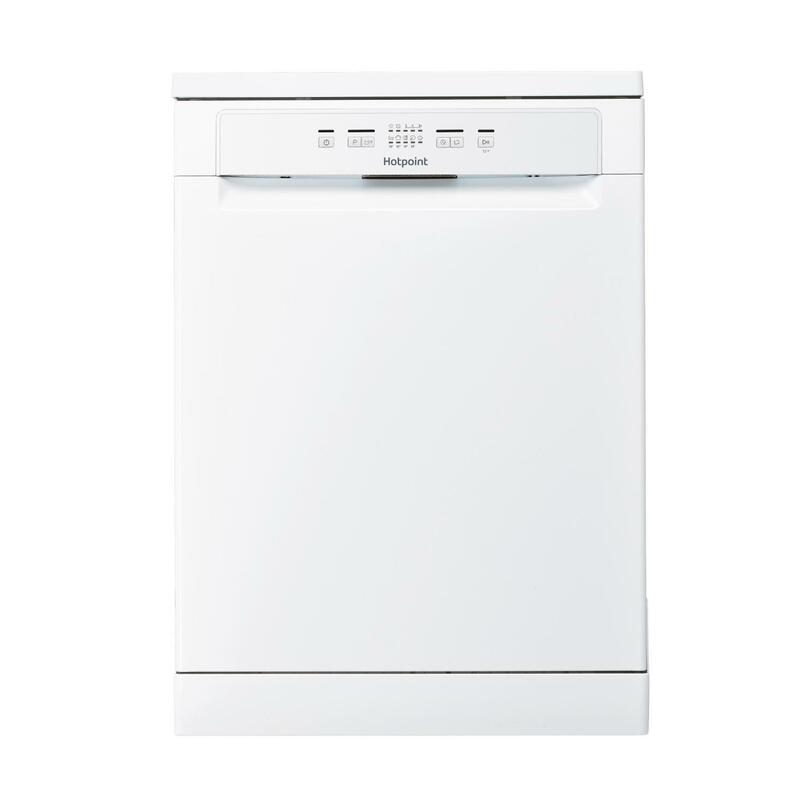 Exclusive to Euronics and Agents stores, this appliance is packed with features for great washing and performance, plus the flexibility to suit any type of load. The HEFC2B19CUK’s Eco Cycle is perfect for those who are conscious about energy consumption. This programme limits the amount of water used - lowering running costs - while still delivering excellent cleaning results. The Express 40, is ideal if you need your dishes cleaned quickly. For those really stubborn stains you don’t fancy scrubbing away at for hours, the Soak and Intensive programmes save you the time and the trouble. Gone are the days of opening your dishwasher to find dirty dishes that have been festering – the HEFC2B19CUK has a handy Half Load option, so you don’t have to wait for a full-load before washing. An impressive 13 place setting capacity is perfect for families, with plenty of room to wash a days’ worth of dishes in a single load. The upper rack is height adjustable - allowing it to be moved up or down to make room for larger items, including pots and pans. An additional third tray, designed for cutlery, frees up space in the bottom rack - eliminating the need for a cutlery basket. Delivering great drying results, the full stainless steel tub offers superior hygiene and drying results compared to plastic tubs. Set the delay timer so the cycle runs during the night to take advantage of the best energy tariffs. Plus, the super quiet 49dB operation means it won’t disturb your sleep. This Hotpoint appliance has everything you need to keep your dishes spick and span. Whether it’s pans with tough food stains, or just cutlery and cups, the HEFC2B19CUK can handle it all. Free 1 to 2 day delivery in Northern Ireland. Delivery not available to mainland UK. There may be a small charge for rural areas. We will contact you if applicable.